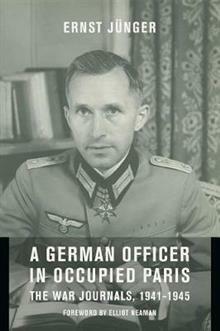 Ernst Junger, one of twentieth-century Germany's most important and controversial writers, faithfully kept a journal during the Second World War in occupied Paris, on the eastern front, and in Germany until its defeat-writings that are of major historical and literary significanc... read full description below. Translated by Hansen, Thomas S.
Translated by Hansen, Abby J.
Ernst Junger was one of twentieth-century Germany's most important-and most controversial-writers. Decorated for bravery in World War I and the author of the acclaimed memoir from the western front, Storm of Steel, he frankly depicted the war's horrors even as he extolled its glories. As a Wehrmacht captain during the Second World War, Junger faithfully kept a journal in occupied Paris and continued to write on the eastern front and in Germany until its defeat-writings that are of major historical and literary significance. Junger's Paris journals document his Francophile excitement, romantic affairs, and fascination with botany and entomology, alongside mystical and religious ruminations and trenchant observations on the occupation and the politics of collaboration. Working as a mail censor, he led the privileged life of an officer, encountering artists such as Celine, Cocteau, Braque, and Picasso. His notes from the Caucasus depict chaos and misery after the defeat at Stalingrad, as well as candid comments about the atrocities on the eastern front. Returning to Paris, Junger observed resistance and was peripherally involved in the 1944 conspiracy to assassinate Hitler. After fleeing France, he reunited with his family as Germany's capitulation approached. Both participant and commentator, close to the horrors of history but often hovering above them, Junger turned his life and experiences into a work of art. These wartime journals appear here in English for the first time, giving us fresh insight into the quandaries of the twentieth century from the keen pen of a paradoxical observer. Ernst J nger (1895-1998) was a major figure in twentieth-century German literature and intellectual life. He was a young leader of right-wing nationalism in the Weimar Republic. Among his many works is the novel On the Marble Cliffs, a symbolic criticism of totalitarianism written under the Third Reich. Elliot Neaman is professor of history at the University of San Francisco and the author of A Dubious Past: Ernst J nger and the Politics of Literature after Nazism (1999). Thomas Hansen, a longtime member of the Wellesley College German Department, is a translator from the German. Abby Hansen is a translator of German literary and nonfiction texts.